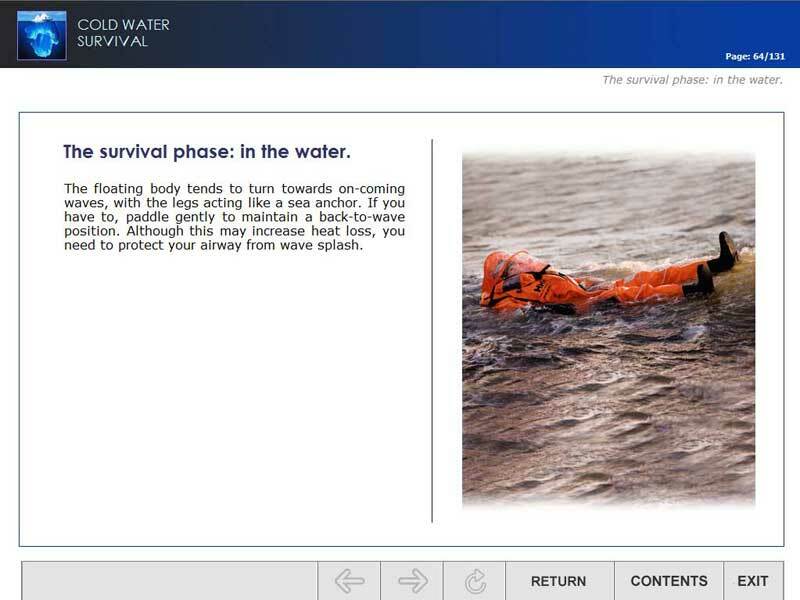 Cold water survival E-learning module has been developed in accordance with IMO MSC.1/Circ.1185 30.11.2012 “Guide for Cold Water Survival”. 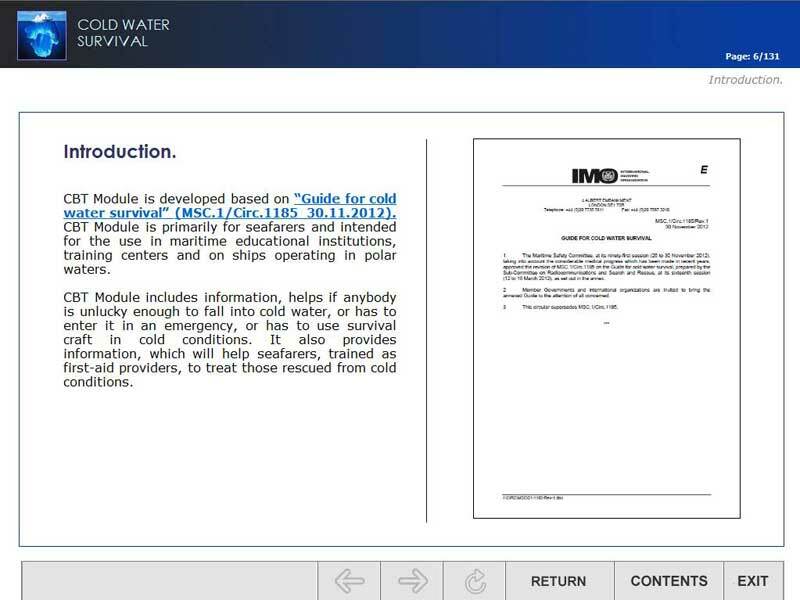 In accordance with sub-paragraph 14.1.3 of IMO Resolution A.1024 (26) GUIDELINES FOR SHIPS OPERATING IN POLAR WATERS “All of the ship’s officers and crew should be made familiar with cold weather survival by training or self-study of course material or publications”. 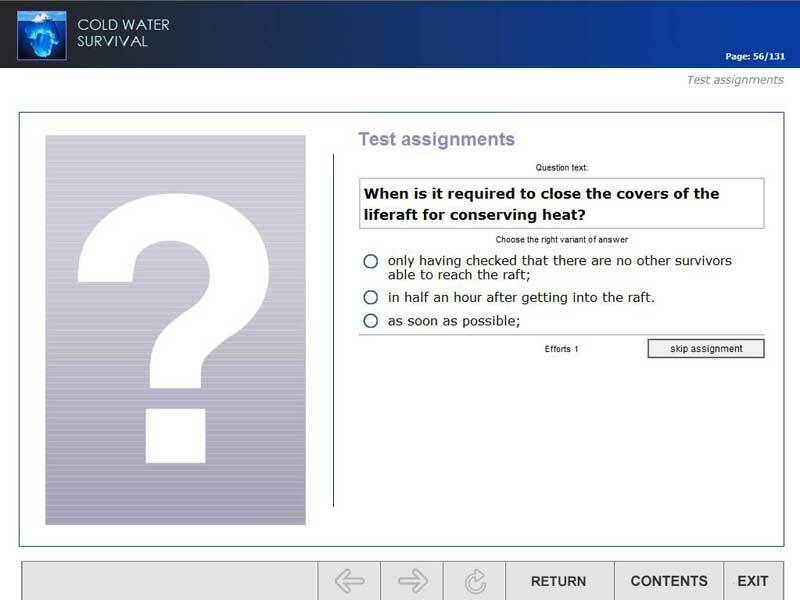 E-learning module is intended for the use in maritime educational institutions, training centers and on ships operating in polar waters. 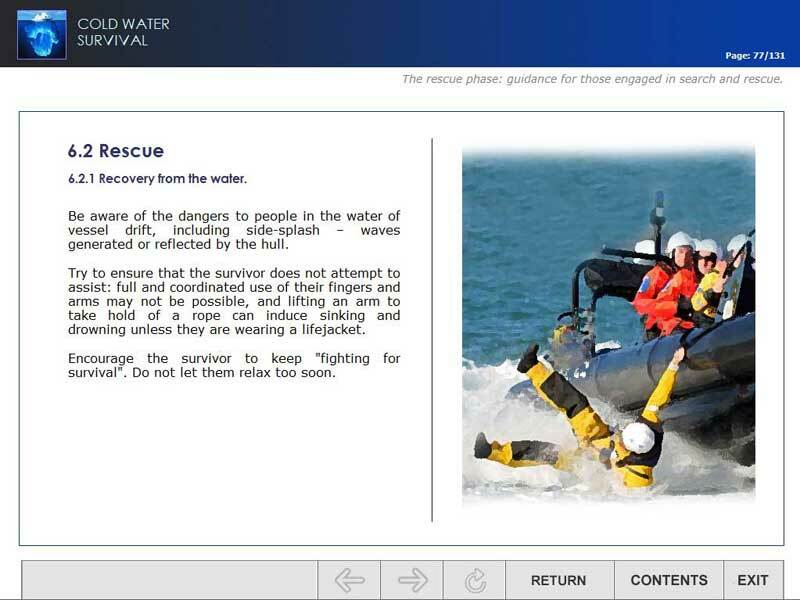 CBT Module includes information, helps if anybody is unlucky enough to fall into cold water, or has to enter it in an emergency, or has to use survival craft in cold conditions. It also provides information, which will help seafarers, trained as first-aid providers, to treat those rescued from cold conditions. E-learning module it is the electronic textbook on one or more topics of special disciplines. Theoretical materials are accompanied with drawings, diagrams, photos, animations and video clips.